I write to you thinking of thinking, thinking of letters. I’ve been revisiting my manuscript of letter poems, Letters to Early Street, written from 1998-2001 and since continually tinkered with. Many of the individual poems have been published and the manuscript as a whole has been finalist for numerous book awards (I think 5 to date) and yet it remains unpublished. And so now I question the desire to publish, the want to want to want. What are my motives? Ahhh, the perpetual pines! In the Literary World you don’t exist without a book and even less so with a book that’s largely ignored which seems to be most poetry books. And so perhaps not existing isn’t so bad, especially in the narrow eyes of a so-called “Literary World,” whatever that is. I mean the literary world is largely an idea, a projection I have of a bunch of people who read and study and write books, who judge the worth of others based on what they think is “good writing,” “good thought.” And these things change constantly — modes of writing, hip ideas, accepted philosophies of the decade. They fade, and what about all that is inevitably excluded? And this judgment of “good thought” — the mystics from any spiritual tradition might say the best thought is no thought or “now”-thought — which is ultimately where I aspire to reside. Yet how much of mind gets consumed with thoughts of acceptance by this largely amorphous, imagined literary world? It’s difficult to operate (write) in a vacuum or a void, and yet I once read this interview with my friend, the poet, Anselm Berrigan who said, “Voids are hard to Colonize” which I’ve always loved, and is profoundly true. I know each person has this void, emptiness within them which is untouchable pure potential where all thought, ideas, poems come from, but we mistaken that place for the mind when really it’s what makes the mind tick. (don’t mistake “yourself” for this mind or this body! Says Nisargadatta (amen brother!) Jealousy is a gnarly colonizer, so is envy, so is hate, so is lust, so is infatuation, so too desire etc. . .! There doesn’t seem to be much of a place for them for one who dwells in voids. I guess I’m wanting to speak to a sense of timelessness or emptiness in poetry, a poetry that evokes an experience of self and the world that is profoundly inclusive. I think of Whitman. I think of Dickinson. I think even more so of Hart Crane with his exquisite verbal acrobatics. I’m not sure where I’m going with this other than to say my own commitment to poetry is to reflect this sense of timelessness via a contemporary use of language — one that may quicken the senses, open the heart, inspire a mind to be cracked open a little wider to let more of the mystery of life in. The wild diversity, the wild magic, the gross absurdities, the blind violence, the immediate and boundless Love, what we all need now more than ever! I am currently drinking Twinings “Lady Grey” tea on a Thursday morning, feeling like an elderly English woman out on the heaths as if in a Bronte novel and yet have just written “Says Phoebe” in my notebook. Actually it was the other day — ”the English other day” as my mother would say, which really means several months ago, when I saw or rather “spotted” a Says Phoebe near Wilbur Springs and all its sayings were mapped in its movements, its wings, saying “fence post” “dart out over meadow” “hover with invisible cloud of insects” “ingest” “return to fence perch for another round of the invisibles” “fly off into small distant bush.” It was this curious erratic hovering behavior that caught my poet-eye. And then, more recently, I wrote down “noetic fences” while reading Diane Ackerman’s new book, An Alchemy of Mind, which is a semi-poetic scientific riff on the brain and mind (a bit mainstreamy--Discover-magaziney, but catchy). I love “noetic fences” –seems a bit of an oxymoron, but I love the word noetic and its ethereal nature being reined in by the hardness of fences. And what of fences and being and poems and saying phoebes? Saying untamable things with body and wing. So begins “The Letters” — a correspondence hoping to say something profound and revealing, elegant and inspired, about process perhaps, thought — questions of longing, literary desire, or some such other humanness to speak to the younger poet — the elder poet — the spaces between and what can be gleaned, ignited, immortalized, historicized by the exchange — a sense of judgements, peculiarities, personalities, unkempt truths, lies, fears — generalities aching for particulars. . .
Back to beginnings. I write to you from The School Bus, a 1971 Gillig — refinished with bed platform, composting toilet, heaters, mini bathtub, tile counters, etc. Marian and I and Garp The Dog have been living in it for a year and a half, halfway up the flanks of Mt. Barnabe in West Marin — surrounded by a mixed forest of Fir, Bay, Oak, Buckeye, and the occasional Madrone. Today the sky has filled in with a rush of warm air and thickening clouds stretched low across the meadowed hilltops — I guess rain by nightfall. We have been working on building a house in Woodacre for the past year which has consumed much attention — and so poetry to some extent has been existing on the periphery while always brewing internally in the center — no matter how dormant for a time. Recently I have been over re-editing Letters To Early Street which I thought was finished 3 years ago and since has been finalist for four book prizes and had almost 40 of the individual poems appear in magazines. Blah, Blah, Blah — I’m ready for it to be a book and I think so is the world, but there seems to be little fussy incongruities that need tweaking — so tweak I do. In the meantime, I’ve 3 other full length manuscripts, and a new collection of concrete poems based on Serra’s Torqued Ellipses. Plus, I’m working on a collaborative project with Edwin Torres about ‘place’ — our respective places — of mind — of land/people-scape — of culture — of language, etc. So far it’s very amorphous, incoherent, and place-less which is exciting — (it’s in its infancy). And so, am I supposed to ask a question of the wise elder? Pine for acceptance, praise your genius, or just be with the words and write a letter as it comes in direct correspondence from the void, in the moment? I suppose there’s no “supposed to” in art and poetry. No “shoulds.” No “musts.” Just immediate creation via heart and mind! I’m looking forward to this exchange. It’s a great honor and delight!! I received your letters of 11/28/04 and 12/2/04 in the same envelope two days ago. I love that they are hand-written on graph paper, with all the cross-outs and errors intact as well as the weavings and intersections of after-thoughts, better thoughts, the whole flesh of thought apparent at first glance. Marjorie Welish published a book called Handwritten, though her own procedure or shall I say tone as a poet is hardly dashed off; it is, rather, assiduously thought through & precise, as philosophical texts must be. I usually hand-write my poems first on the same kind of lined school paper I’m using here. Then I move the text to the computer, where it undergoes (or suffers) its revisions. But it must be completed first in the hand, by hand, not as visual artisanry but because it’s the most casual and private way of proceeding — no clacking of keys that can be heard in the other room. Poetry is a secret, for the private mind, a private trial perhaps, that strives to be made public. I keep the book standing upright, open like a door, on my windowsill, where it suffers the elements such as window condensation and cobwebs, some of which I have just now removed in finding a quote. But this is sounding too poetic. The book fits the sill; I like the book. Thought and non-thought are forms of expression. There’s no escape from the mill and grind of time and desire. I enjoy the human and natural facts of your poems, their ease, and I know you are also ambitious. One has to be insistent, but this poetic ambition/need works toward silence, the unspoken & unspeakable. Both the measured noise and disorderly silence find equilibrium in art, in being crafty. As for the “Hip,” it’s probably a liability in the long run. Nothing dates quicker than service only to the central moment. The Beat poets and New Critical poets bear witness to that. It’s not the social moment that counts but the jostling drive toward eternity like Dickinson’s horses — in other words, in Ginsberg’s lovely and durable poem “To Aunt Rose,” what matters isn’t the 1950s reflecting back onto the Communist 1930s (Abraham Lincoln Brigade), or even Ginsberg’s vulnerable confessionalism, a period style; it’s his fierce and generous recognition of the passing of time for one lonely woman whose mortal conditions he recognized. I write this knowing that we are both more or less identified with the Hip. Finally it’s a matter of writing through one’s limits and desires to the object beyond, which is the poem (I almost wrote “ramshackle poem”). You call it, via A. Berrigan, “Colonizing the void,” which is fair enough. Crane’s “verbal acrobatics” (lovely noise) against the background of a great silence (grandmother’s love letters “as liable to meet as snow”). You write passionately of “immediate and boundless love,” which in poetry is felt in the tension of syntax and a generosity toward the world at large including, especially, its words. My eyes are fiery from cooking onions for my renewable Cajun chili recipe. Everyone ate all the meat and beans in the first course, leaving lots of saturated and delicious broth. So ours is a recipe (or kitchen) “pruned to a perfect economy,” at least in this case. I’ll resist the temptation to comment on the economies of poetry — the fully spent wealth of both Whitman’s expansiveness, the knots and conundrums of Dickinson, both poets finding power in wisdom, both poets observational, taking points of view on the things they devour, and what’s wrong with that? Your phoebe at Wilbur Springs (a good title) is observed in a relaxed admiration of the event as it develops, the bird in mid-field, mid-air, to devour what’s available in its range — and knowing that range or reach, which is both use and skill. The seemingly erratic movement of swallows over a field when something has caused the insects to rise is one mode for the mind in writing. It knows what it wants (it is hungry) and in general the place to find its semblance (it has craft). Inevitably such modeling brings us to “language” writing; that is, the limits of “scatter” suggested by erratic movement, which leads also to thematic limits, ranges of resource. Is it wrong to observe, to take a point of view, especially a lyrical POV? Irony and distance are required of that approach; is that limit also the border of “hipness”? Does a cultural positioning like hipness — see also identity politics — push the “poetic fences” too close to home and thus into a safe period style, the postmodern fragment and so on? Well, the phoebe has its range. Polar bears swim for hundreds of miles from the arctic to Canada and back, sometimes piercing up through the home ice at exactly the same place as last year. Some poets are at home in highly dispersed conditions that seem barren wastes to others — at home, that is, in a language field more than grass — and their point of view is also multiple like Hobbes’ Panopticon: “The night has a thousand eyes.” My neighbor Jane Hirshfield comments: “You know how to read such writing.” It is not a matter of advantaged mind but rather of preference. Home is where the (hard) heart is, or hard-hat. It’s where cognition allows a person to dwell. I too feel uneasy with the elder/younger frame of this project. The young poet asks Horace a question and Horace goes on for hours. You know the names around you: Mt. Barnabe, fir, oak, buckeye (I thought that was Midwestern — how strange). Now I realize that the polished, beautifully brown “nut” I picked up in Mill Valley was a western buckeye, fatter and less elliptical than the ones I saw in Ohio. Madrone — I wouldn’t know it from a California Oak. My naming (therefore gaming) options are limited. About projects: since being virtually cast from Planet Chicago in Spring 2003, I’ve completed 3 poetry manuscripts: Edge and Fold (the 49-section serial title poem, my first such endeavor, and another long poem called “The Reading”); At the Sound (4 long poems in short sections, each written in first draft in a single day, that being the planned compositional constraint); and Poems in Spanish, which consists of 25 poems written “as if in Spanish,” that is, fully under Ibero-Hispanic influences such as Vallejo, Pessoa, and Lorca. These poems are lyrical, ironic, and voiced. Writing as if in Spanish allowed me a mood and point-of-view otherwise inaccessible because so unashamedly ripe in expression. Ripeness has been a frequent trope in my recent work, the going into fullness that promises soon to turn; that is, go over into liquor, vinegar, and perhaps even bitters. It’s the most conventional of my recent projects, which also means potentially the most daring. A fourth book is near completion. Based on the books of the Old Testament, it’s called Testament. But I’m not actively working on it because of the 100 pages of contemporary Vietnamese poetry I’ve translated with Nguyen Do and the 100 pages of Hölderlin I’ve translated with Maxine Chernoff — this second project instigated by your invitation of last year for a collaborative volume. Both translation projects have a way to go, esp. the Hölderlin. We’ve done most of the hymns and fragments — of Richard Sieburth — but unlike Sieburth we translated all of the Nachtgesänge (Night Songs) and also several of the odes, early and late. Sadly, the Hölderlin collected is massive. We must decide on a limit or frame. I’ve been reading lots of secondary materials such as Susette Gontard’s love letters to the poet. A married woman, her husband a wealthy banker, she dropped the notes down to him from the high window of her small reading room. She often describes him as “pale.” He would soon be mad for the last 35 years of his life, and she would soon die of measles. Your Edwin Torres project sounds exciting and your other activities too. We published some of the Serra-influenced work in New American Writing. Torres will propel you in yet another direction. The novel is an intensive mode. I gave up 5 months to write one in 1986, and it was published in the Vintage Contemporaries paperback series and in The New Yorker. It’s all, good, as they say, but I know that novels were never mine to do. A second novel, a half-hearted academic farce, lies in a file cabinet and may receive no further attention. Novels steal attention from poetry, long prose also. This happened two years ago in putting together my book of essays (Fables of Representation). The theft is of time and labor, not of inspiration. Paul Hoover is the author of eleven books of poetry including Edge and Fold (Apogee Press), Poems in Spanish (Omnidawn), Rehearsal in Black (Salt Publications), Winter Mirror (Flood Editions), Totem and Shadow: New & Selected Poems (Talisman House), Viridian (University of Georgia Press), and The Novel: A Poem (New Directions). He is editor of the anthology Postmodern American Poetry (W. W. Norton) and, with Maxine Chernoff, the literary magazine New American Writing. His collection of literary essays, Fables of Representation, was published in the Poets on Poetry series of University of Michigan Press. He has also published a novel, Saigon, Illinois (Vintage Contemporaries). In 2002, he won the Jerome J. Shestack Award. He won the Carl Sandburg Award for his collection, Idea (The Figures, l987) and the l984 General Electric Foundation Award for Younger Writers for poems later included in Nervous Songs (L’Epervier Press, l986). 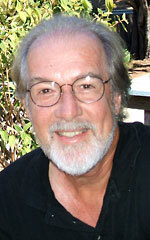 In 1980, he was awarded an NEA Fellowship in poetry. He is Professor of Creative Writing at San Francisco State University. Albert Flynn DeSilver’s poems have appeared in numerous literary journals all over the country including Jubilat, Chain, New American Writing, Zyzzyva, The Columbia Poetry Review, Hanging Loose, 26, Rattapallax, Conduit, Volt, Slope, Fourteen Hills, Combo, Tinfish, Fishdrum, The Wallace Stevens Journal, Web Del Sol, Exquisite Corpse, Lungfull!, Van Gogh’s Ear, Poetry Kanto, and elsewhere. 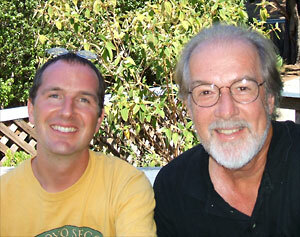 His new book, Letters to Early Street, is due out Spring 2007 from La Alameda Press. 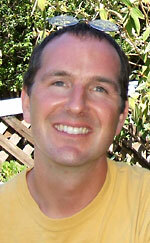 He teaches throughout Marin County and San Francisco with The California Poets in the Schools Program. He is the editor/publisher of The Owl Press which publishes innovative poetry and poetic collaboration. He lives in Woodacre, California. Copyright Notice: Please respect the fact that this material is copyright © Paul Hoover and Albert Flynn DeSilver and Jacket magazine 2006; it is made available here without charge for personal use only, and it may not be stored, displayed, published, reproduced, or used for any other purpose.